6 X Full Time Staff with several contract staff. Our core staff includes a highly trained and professionally capable team with a wide spectrum of expertise from commissioning to mission critical design. OBMG senior engineers are professionally recognised with membership of the IET / IEI / SEAI / Uptime Institute / CIBSE bodies. Training and Professional Development is a key philosophy within our company and all engineering staff are continuously developing their professional expertise to ensure the highest calibre individuals within our company. Michael’s primary focus is on the commercial, Healthcare, Educational and residential sector of the industry. He has over 24 years’ experience within the industry. He has the exceptional experience of working on both the construction and design element of projects; having commenced his career as a site based engineer before moving in to the consultancy field. It is this unique knowledge of working on both the design and construction elements of projects that provides the business with an unparalleled level of insight into delivering a successful service. Michael has worked on an array of projects/clients from BMW-MINI, Bank of Ireland, Ericsson, Department of Education, Audi, Irish Rail to name but a few. 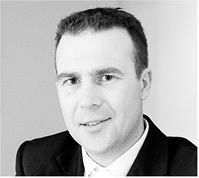 Gareth is a Chartered Engineer & Principal Electrical Engineer within OBMG Ltd. He has over 22 years’ experience within the Mechanical and Electrical industry. His proficiency is in building services, critical environment design & commissioning, project management and team leadership skills. His core area of specialist expertise is in the design and commissioning for mission critical data centres and industrial facilities. Within this area of expertise Gareth has worked with clients such as Ericsson, Alexion, Johnson Controls, Alkermes, Zimmer Biomet & Telecity. 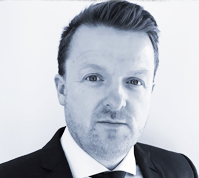 Working with leading edge technological and companies, Gareth has developed a comprehensive portfolio of experience. In addition, Gareth is a qualified Electrician with site management skills.